At the southwest corner of the intersection of Routes 202 and 209 in the borough of Bantam lies a small marker noting the birthplace of one of the most important theologians in American history. 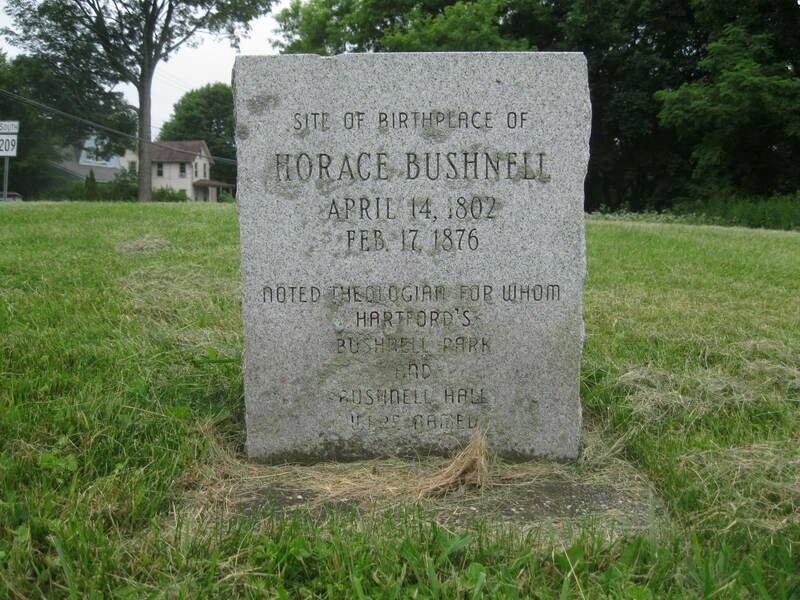 Horace Bushnell was born at this site on April 14, 1802. He was raised on the family farm – some accounts say he grew up in New Preston – and lived the difficult life of a farmer in early America, often working from sunup to sundown. While his family lacked both wealth and social status, they had always hoped he would become a minister, and he therefore enrolled at Yale University. 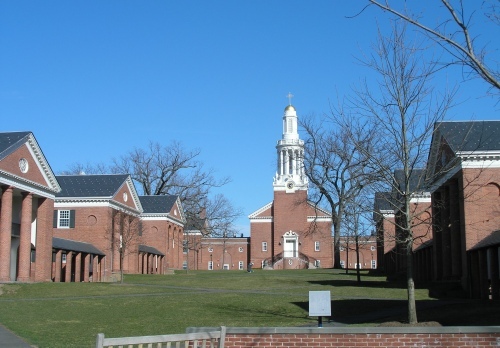 Bushnell would spend ten years at the New Haven school, earning bachelor’s and master’s degrees. Following graduation, he served as the editor of a literary magazine in New York City, and studied law and was admitted to the bar. Bushnell maintained religious doubts during his adolescence. These doubts, however, dissipated and in 1833 he returned to Yale and earned a Bachelor of Divinity degree, was ordained as a Congregational minister, and was named the pastor of Hartford’s North Congregational Church. He would remain at this post for more than twenty years, until poor health forced his retirement. 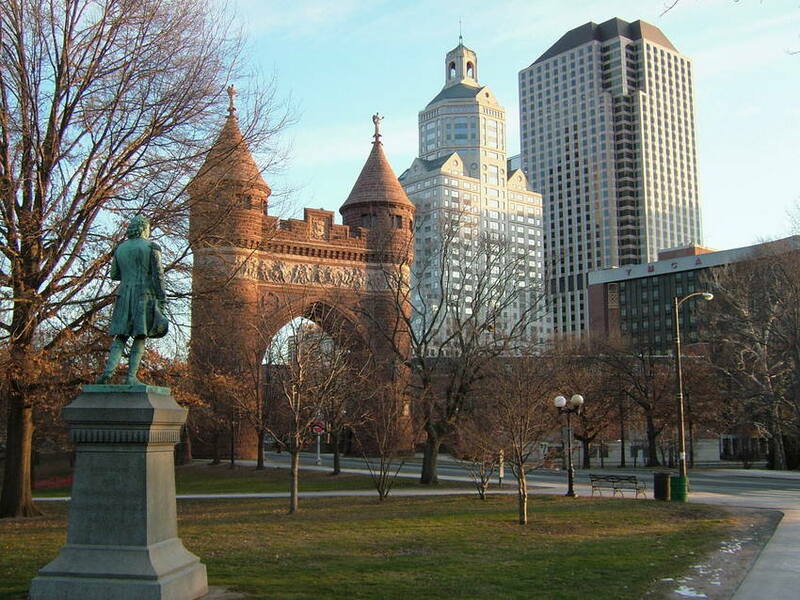 He became Hartford’s most respected citizen, and was one of the leading American theologians of the nineteenth century. 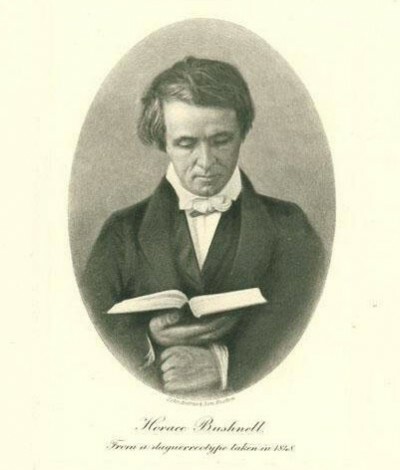 The author of twelve books, Bushnell was a transitional figure in American religious history, standing between the conservative traditions of American Puritans, and the more emotional or romantic views being put forth by Ralph Waldo Emerson and others. 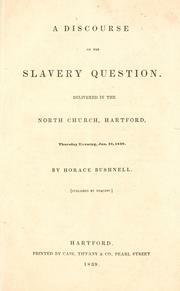 Bushnell’s centrist views were laid out in his 1839 work, A Discourse on the Slavery Question, in which he put forth a moderate approach to the controversy that was beginning to rip the nation in two. 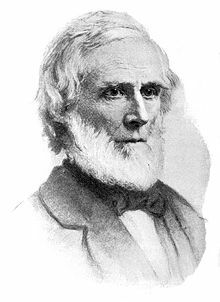 Bushnell’s moderate approach still managed to draw critics; this was especially so following the publication of God in Christ (1849) which argued that the lack of historical context for the language of the Bible prevented its readers from truly understanding the work. Conservative preachers saw the threat posed by Bushnell’s ideology, and responded with savage criticism. Bushnell answered his critics in Christ in Theology (1851). Bushnell married Mary Apthorp in 1833 and together they raised three children. Declining health forced him to give up his pastorate in 1859. He never again held a formal position, but continued to preach and write until his death in 1876. 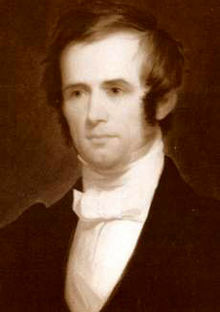 Today, Bushnell is likely best known as the namesake for Bushnell Park or the Bushnell Center for the Performing Arts. Reverend Bushnell was a determined advocate for the creation of urban parks. 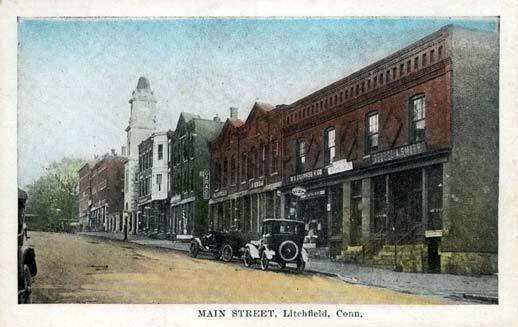 Speaking to the Hartford City Council in 1853, he said, “an opening in the heart of the city itself, to which citizens will naturally flow in their walks. A place where children will play and the invalid go to breathe the freshness of nature. A place for holiday scenes and celebrations; a green carpet of ground, where high and low, rich and poor will exchange looks; an outdoor parlor opened for the cultivation of good manners and a right social feeling. A place of life and motion that will make us more conscious of being one people.” The Council responded by allocating $105,000 for the purchase of the park that today bears the minister’s name. 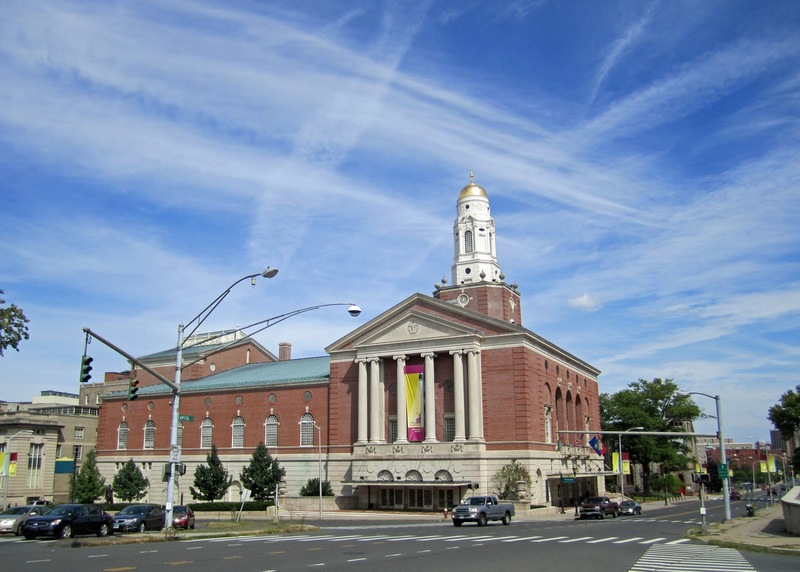 The Bushnell Memorial Hall opened in 1930, built as a living memorial by Dotha Bushnell Hillyer to her father. These institutions remain as tributes to one of the preeminent figures in American theological history, who traveled a long road from the difficult life of a Bantam farmer to the nation’s leading philosophical parlors. This entry was posted in History, Religion and tagged Bantam, Civil War, Horace Bushnell, monuments by pvermily. Bookmark the permalink. Deeply appreciate the focus on Horace Bushnell. Buried in his writings are some progressive thoughts that could be used by today’s green movement: “If we could husband and apply the whole tide force swing of the sea, it would suffice to keep more wheels in action than will ever exist in fifty such worlds as this… We offer it as a great proof of God’s beneficence that He has made such provision”. (from ‘Moral Uses of Dark Things’). An interesting comparison to Bushnell’s birthplace marker is in nearby Warren, CT, where preacher Charles Finney’s birthplace marker exists. Finney would have probably have been quite oppositional to much of Bushnell’s theology. Good blog, I didn’t realize he left so much legacy in his wake beyond his theological writings. Curious, which of his writings do you most recommend, and why? For the record, Logos Bible Software has further “immortalized” the man so-to-speak by putting the Horace Bushnell Collection up on Community Pricing. Thank you for the comment and the kind words. I am not a theologian, but rather a Civil War historian, so I would recommend Bushnell’s July 1865 oration in honor of those Yale men who had served the Union cause. It was an early attempt to place the Civil War within what Bushnell thought was its proper religious context. Attitudes toward Bushnell’s address have changed over the decades, but it undisputedly remains an important expression of the North’s religious attitudes.